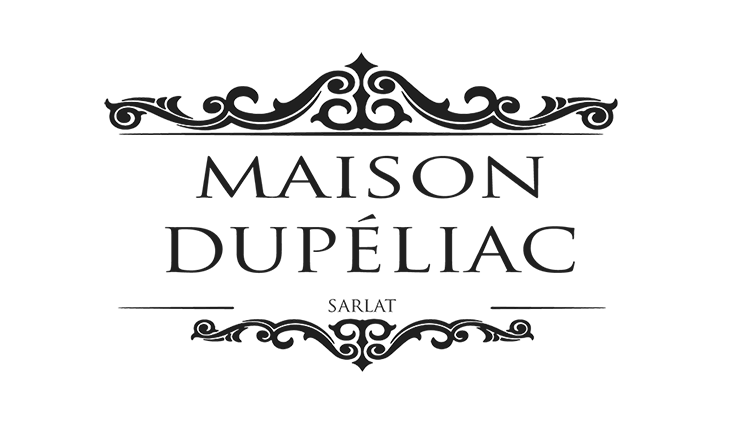 At the gates of Sarlat, in the calm and tranquility, Dupéliac house offers a warm atmosphere with refined and elegant atmosphere invites you to a chic bistro atmosphere. A modern and attractive architecture, bright spaces and floral garden make this area a perfect place that invites to greediness and lends itself to the organization of any event. Our three rooms can be privatized on request to offer all the comfort during your business or private meetings. The cuisine is gourmet at home Dupéliac. Authentic, refined, it brings out the best product in a search for balance between originality and tradition. Anxious to offer quality dishes all our products are selected and cooked on site to preserve their freshness and flavors. We are working to meet the product and the environment, which is why we work with local and regional producers. Because the wine remains a key element of a good French meal we prepared for you a card or each wine has been carefully selected for its quality and its specificity.